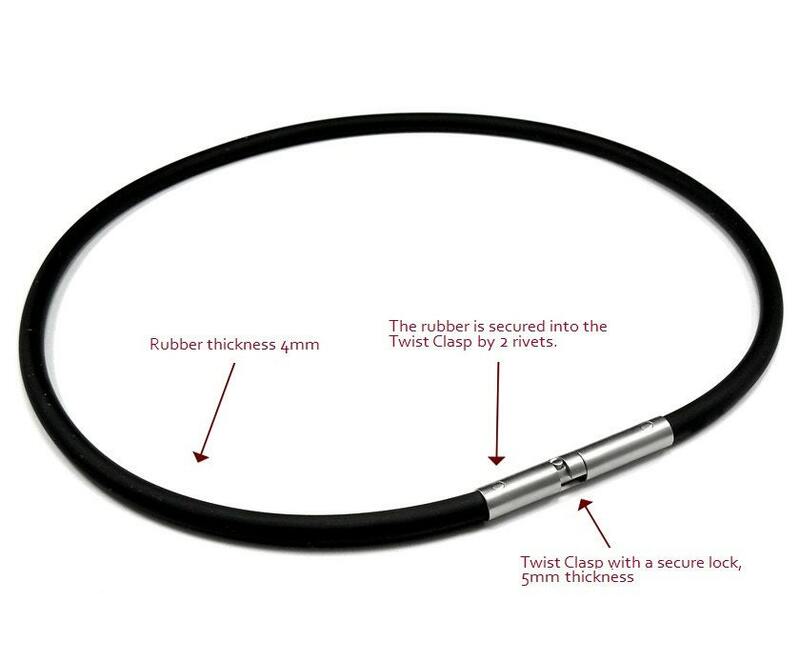 Men's Black Rubber Necklace 4mm thick Rubber with 5mm Stainless Steel Bayonet Twist Clasp. Totally handcrafted by skillful artisan with an impeccable craftsmanship. Ideal for Pendants and Crosses. Fits in bail opening 5.10mm and larger. Waterprof material, confortable and hypoallergenic. Was a present for the hubs.. He lost his first one and I got him another as a replacement.. He was thrilled and never wants to take it off! Fantastic! A unique design and an elegant piece. I am frequently asked where I got the necklace from as it is very striking. Perfect for those who like a statement piece which is simple and not fussy. lovely! Just what I wanted! Love the custom size option! 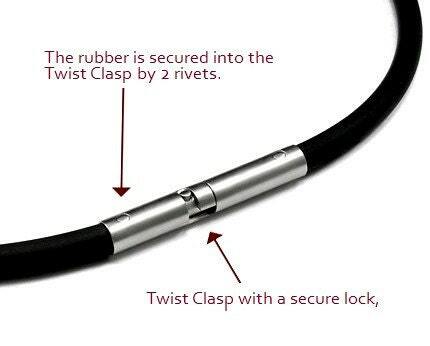 Great quality clasp!